Women's Racerback Tank [White Logo] - COVFEFE: Making Coffee Great! You drink COVFEFE - Why can't you wear COVFEFE? We have the best style, ask anyone! About COVFEFE: Making Coffee Great! 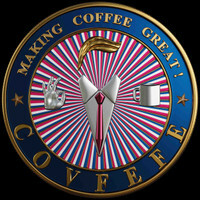 © COVFEFE: Making Coffee Great!